I am still pretty crazy about the pineapple trend. This stamp is from PaperTrey Ink. Once I got the hang of it, the layering stamps were easy to use. I used my Silhouette Cameo to cut out my sentiment and an older die from MFT Stamps for the torn paper background. I think this die is retired, so I just linked to the MFT site itself in case you feel like shopping. 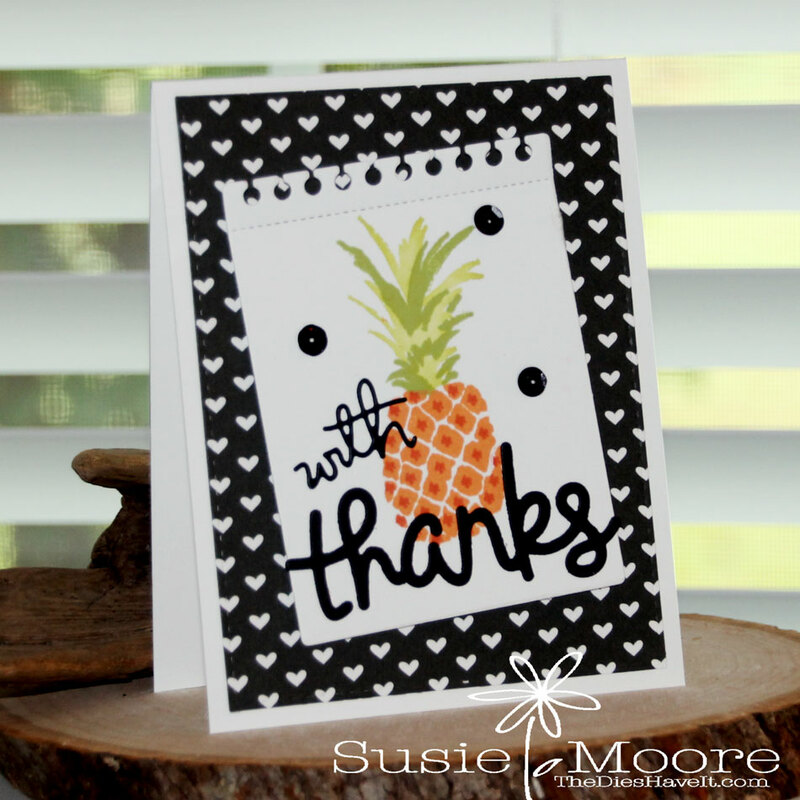 I added a few sequins to finish my card and I'm liking the contrast of the black and white with the pineapple.